is there any error ??? and which IOS you are using...??? If I add ethernet-switch and set it as ethernet-switch. I have not place to set the IOS as you do on a router. If I add the ethernet-switch symbol and set it to ethernet-switch, there is no place to point the IOS, as there is on a router. Please help didn't work with me !!!! switch#vlan database, I got invalid input detected?! Any update in that case ?? make sure you have used NM-16ESW module in that router..
this is what i got !!!! add NM-16ESW module in switch in order to execute the "switch#vlan database" command. Thanks Dear, it is great!!! i really mean it. hi why is the link redirecting me to amazon? 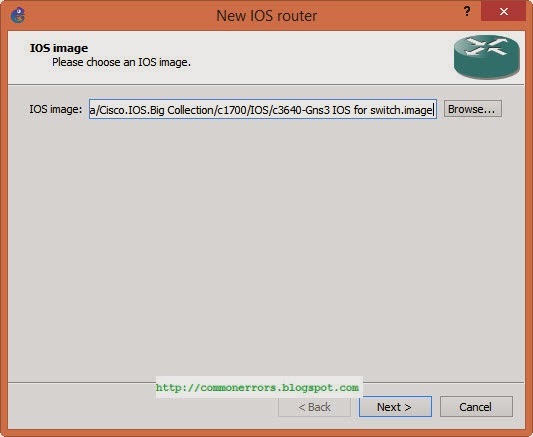 hi if you wana download IOS files then u can download from gns3.net or search google u ll find more links. Interface fa0/0 and fa0/1 are router interfaces. The Switch interfaces start from fa1/0. 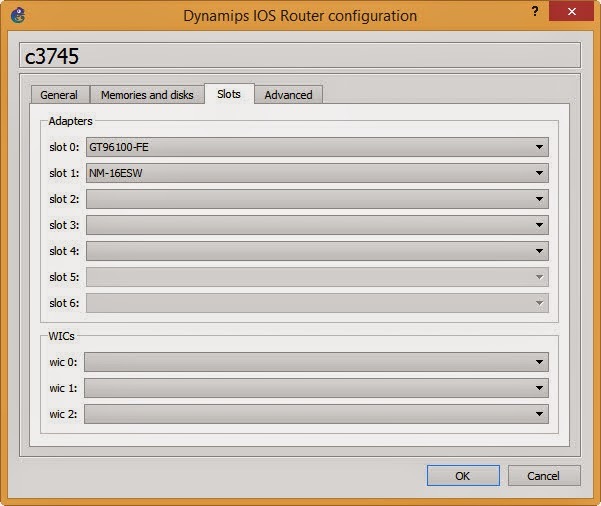 May I know the IOS version and sw / router module that is being used in order to configure VRRP and HSRP ? So far I am not able to use "standby" command and "vrrp" commands. I used "c3640-jk9o3s-mz.124-16a" IOS and using "NM-16ESW" , "NM-1FE-TX". But still cannot use "standby" and "vrrp"commands. Pls. advise. Hi, this is working quite well but we can't access to all vlan acl can we? It didn't work.. any idea how to make those work? you are wonderful,thanks a million,i thought iwas lost forever. I have tried mounting the NM-16ESW module to multiple IOS images and router types but for some reason the add on card does not get picked up at all. No VLAN commands or interfaces visible. Other add on cards work and extra ports are picked up automatically. Am I missing something? Hello Can anybody share the link to download the module NM-16ESW please? i am not sure about other routers but 3600 series has NM-16ESW module..
just add this router in your topology and from slot option select this module.. thanks..
hi, do u manage to create vlan or not???? Thanks a lot! Had the same "problem"
invalid input detected at ' ' marker. why this error show me ? int f1/0 is not valid for your setup. use the "Router#show ip interface brief" command for show all interfaces and then select the one which you wana configure..
try switchport mode access on fastethernet instead of ethernet, see what happen???? thank you it working good for me..
hi, what type and number of this IOS switch that you used in this Lab? can you tell so I can search for it myself. Not Working the switchport mode access in c7200 & 3640.
now what is this unpack.exe??? I am Charan, preparing for CCNP SWITCH. I struggled a lot to do Switching Lab practice and this really helped me a lot. Thank you for the great support and sharing. I do not use GNS3 for switching, I'm using SunOS SPARC in Simics to create network topology for switching practice, configuration and verification. VLAN, VTP, STP and other switch configuration works fine in SunOS. any 1 can give iso image 3600 ? Thank you verry much, so helpful ! Hey thanks. Nice info. But what do I have to do to run vtp commands on this newly created switch. When I tried it in global mode, it asked me to create a file in which it will store the vtp database. I gave it the name : "vtp.dat". But then I couldn't do anything with that file or with any other vtp command. Any ideas? I entered switchport mode access but it doesn't show up in the running config. Cant seem to figure out why... another site suggested that entering the commands in a specific order would make it work right but. I appreciate GNS3 but I wish I could just rent some real lab equipment for about three months..
and this the site that has given me the answer how to . Hats off to you. a big thanks to you and i am giong to bookmark your site. Hi Thanks mate for sharing this information, i was able to configure successfully. Hi, so cool idea but i have a problem, switch#Vlan database command did not apply. I m getting following error while following your mentioned steps & plz help me to get it resolve. Thanks a lot whoever posted "Just change the name of the ".bin" by c3640-jk9o3s-mz.124-16a.bin and don't forget the IDLE PC auto calculation"
An emulator instance (PID 5288) is already running with identifier 0. If this is not the case, please erase file "c7200_i0_lock". VM Ghost: unable to create instance! I upgraded to GNS3 version 1.2.3. Could it be because of my version? !!! WARNING - VM is not running, will be unresponsive (status=1) !!! but i can not enable spanning tree protocol. How can I do it ? please help me. Thanks for sharing. For those of you who can't even put it on, delete the space in the file name, somehow my GNS3 didn't like it. I had the same problem, GNS3 wouldn't install the router on the workspace because of the name of the /.bin file. Make sure you replace the spaces with _ or whatever, then it's all good. I have set up a router with 3600 series router IOS with NM-16ESW module. 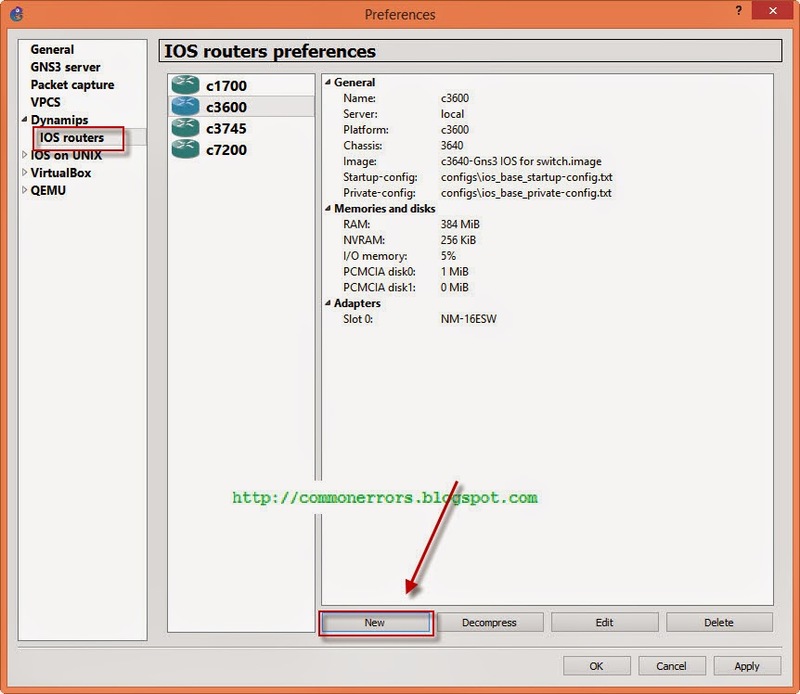 try to connect these interfaces with other devices by manual selection, and then try again..
Kindly update me regarding the GNS3 , how to access from network. i try so many thing but not access. 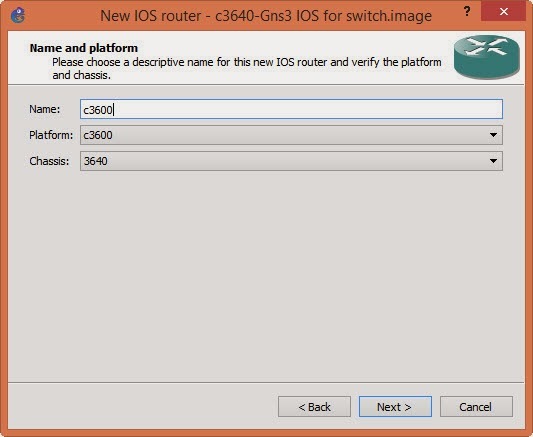 First connect gns3 to physical interface of your PC with gns3-cloud and then access it through network ..
Maybe is a configuration (Gns3 IOS hardware config) issue... by the way is a 2691 with c2691-advipservicesk9-mz.124-15.T6..unpacked IOS image. hello, whould you help me, i have a same problem. iv. 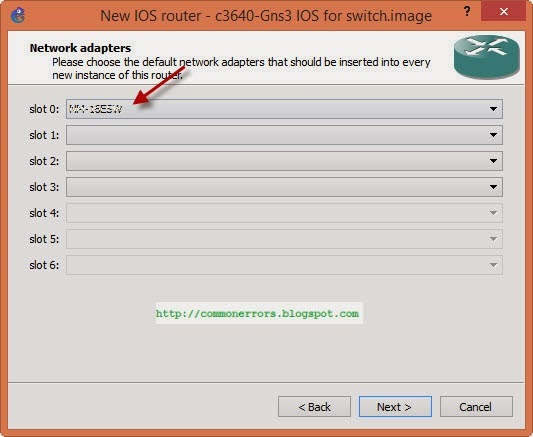 apply & click OK.
add NM-16ESW module from router configuration...! hi!. please i set up my vlan using the vlan database command on a 3600 switch, and after setting the vlans, i proceeded to the global config mode to assign switchports to the vlans and also confirmed that the switchports have been assigned to the respective vlans using the 'sh vlan-switch brief' command. The issue i'm having is that after saving with the 'copy run start' and then restart the switch, and do the same 'sh vlan-switch brief' , all the initially assigned port would go to the default vlan (vlan 1). That is, there would be no more switchports assigned to the initially configured vlans. 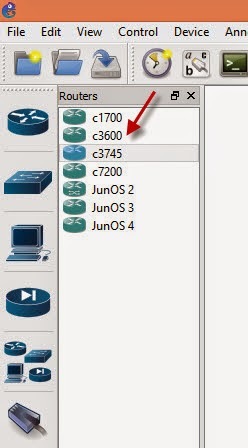 can anyone explain how to change vtp versions in gns 3?